This is a view of our buffing room. With 3 different size buffers we can buff tires from the 500x5 all the way up to a 56x20-20. We're not certified to do the big ones yet but we have the equipment when the time comes. 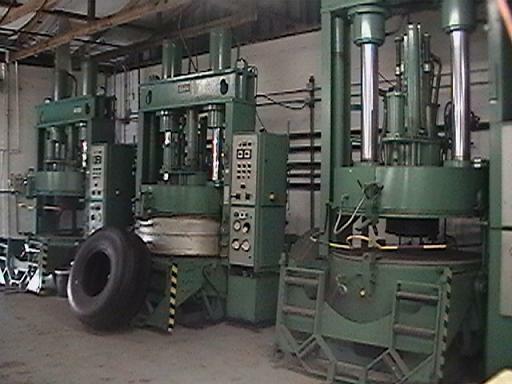 This is one of our tire building machines, a Orbitread 200CX it applies the raw rubber to buffed tire. 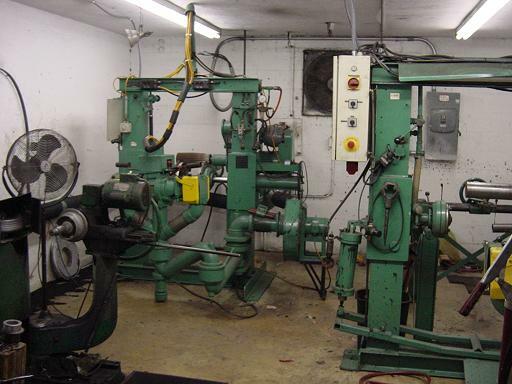 Here are 4 of our General Aviation Molds and Presses. Starting with the 650x8, 650x10, 850x10, & 11.00-12. The big guys! 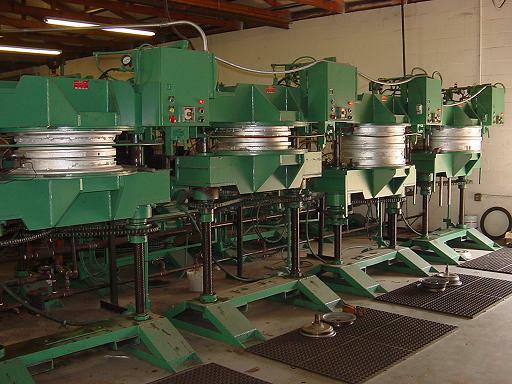 Our B&N presses with the 49x17 tire and mold. 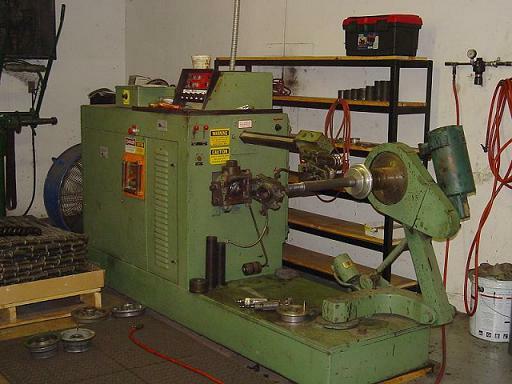 We have retreaded 300+ 49x17's for ground use. We might use these in the future if we decide to go in the airline direction.